When you hear various professional pro-lifers . . . or perpetually outraged Catholics . . . or scheming Republican operatives (and sometimes all these reside in the same person) lamenting how the new health-care reform act "is the biggest blow to the pro-life movement since Roe v. Wade," ask yourself one question. Would any legislation that fundamentally awful from a pro-life perspective piss off Bill Moyers this badly? If any health care reform emerges from the bonfire of partisanship and dissembling in Washington, one thing seems certain -- it will be incorrigibly biased against a woman's freedom of conscience when it comes to abortion. She will be ever more subject to the state's control and ever more at the mercy of religious doctrine to which she may or may not subscribe. In this respect, both reform bills in the House and Senate differ only slightly. Each is tough on women. As you've been reading, Catholic bishops in particular have led the lobbying charge to prohibit any woman who receives insurance subsidies under the legislation from using that money to buy policies that cover abortion. The United States Conference of Catholic Bishops, for one, says any compromise on this would be, quote, "morally unacceptable." This, from an all-male hierarchy of clergy morally compromised themselves by the church's failure to protect the children in its care from abuse by its own priests, and by ongoing efforts to cover up the full extent of the scandal. Nor have their own sins prevented protestant politicians and preachers from casting stones at those who would to any degree support a woman's freedom of choice being covered by the current reform bills. I would include among that pious flock many who champion family values, abstinence and homophobic bigotry while indulging in or turning a blind eye to sexual harassment, sampling the pleasures of brothels or heading to Argentina for more than language lessons. IS THE public-television icon really this upset over a pro-abortion legislative riptide destined to sweep unborn babies -- and the movement dedicated to saving them -- out into the deep blue sea? 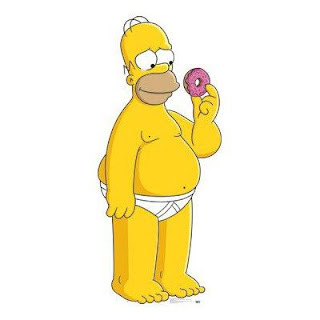 And Dr. Favog thinks those whose blood pressure still is dangerously elevated should take a couple of doughnuts, wash them down with a few cans of Duff Beer, then call Homer Simpson in the morning. "Doughnuts: Is there anything they can't do?" One more thing. 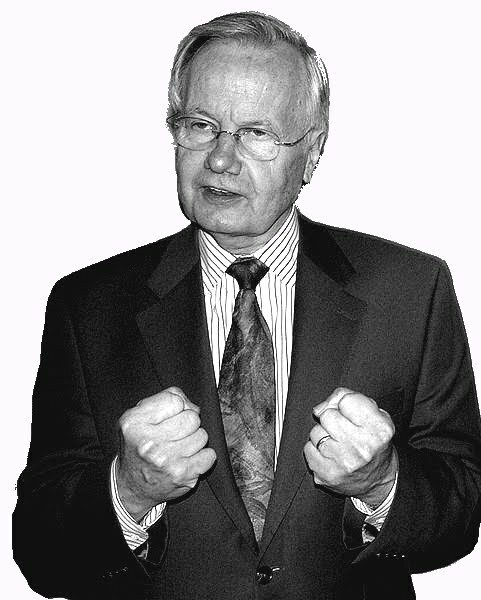 For the record, I like Bill Moyers and enjoy his program greatly. I also profoundly disagree with him on abortion rights. I'm just saying. For whatever that is worth . . . which probably is damned little in today's divided and outraged America.